Dumbbells sketch vector icon. a call to play sports for health. Linear image of two dumbbells, isolated on white background. logo, sign on the theme of healthy lifestyle. 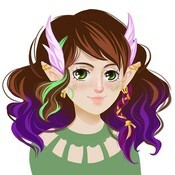 Icon set for Online Store. Objects to store section 21 with the signatures. Ready material for the design of the site design. Vector Illustration. Gate and ball for rugby hand drawn in chalk on a blackboard vector white icon isolated on a green background. Gate and ball for rugby hand drawn in chalk on a blackboard vector white icon isolated on a black background. 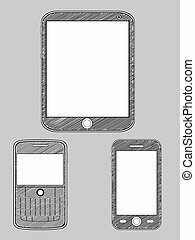 A vector set of sketches of smart phones. These vectors are good many design applications that need modern objects drawn in sketch style. Available as a Vector in EPS8 format that can be scaled to any size without loss of quality. Each elements/objects can be separated for further editing, capable of being used individually. A bat with a ball for baseball, a weight for muscles, a ball for playing, a bench for fitness. 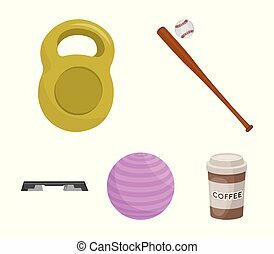 Sport set collection icons in cartoon style vector symbol stock illustration . 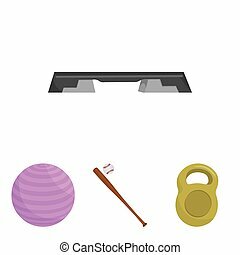 A bat with a ball for baseball, a weight for muscles, a ball for playing, a bench for fitness. 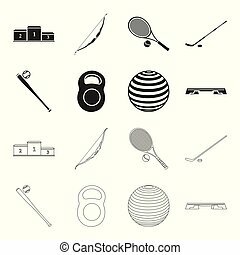 Sport set collection icons in monochrome style vector symbol stock illustration . 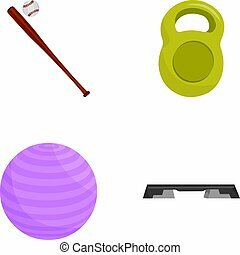 A bat with a ball for baseball, a weight for muscles, a ball for playing, a bench for fitness. Sport set collection icons in black,outline style vector symbol stock illustration .